A substation electrician ensures that the hundreds of households depending on a certain substation have an uninterrupted supply of electricity. An electrical substation takes the high voltage power arriving from power plants and converts it into low voltage power suitable for household use. The word “substation” originated in the days before electricity was distributed by a grid. As central generation stations increased in size, smaller generating plants were transformed into distribution stations. The smaller plants received their energy supply from the larger plant rather than using their own generators. At that time substations were only connected to one power station, the location of the generators, and were used as subsidiaries of that power station. A substation is an important component of an electrical generation, transmission, and distribution system. A substation transforms high voltage into low voltage, or the other way around in some cases, or to perform any one of several other important functions. Electricity may flow through more than one substation from the generating plant before reaching the consumer. The voltage may be lowered in stages as it passes between substations. Substations are usually owned and operated by the local government or utility provider, however some large industrial buildings or commercial buildings often own their own substation. In most cases, an electrical substation will operate unattended, and rely on supervisory control and data acquisition equipment for remote supervision and control. A substation generally includes transformers that change the levels of the voltage from high transmission voltages to lower distribution levels. Some substations are used to connect two different transmission voltages. 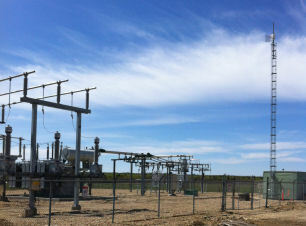 Generally a substation consists of switching gear, protection and control equipment, and transformers. Larger substations use circuit breakers to interrupt short circuits or to prevent current overloads that sometimes occur on the network. In smaller distribution stations recloser circuit breakers or fuses are commonly used to protect the distribution circuits. An electrical substation does not usually have its own generators, however a large power plant may have a substation nearby. Some substations also use other devices such as voltage regulators and capacitors. 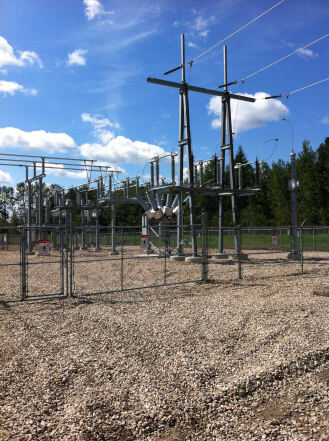 You will usually see substations on the ground enclosed by fencing. Many these days are located underground, or housed in special buildings. High-rises often have several substations located indoors. Indoor electrical substations are usually found in highly populated areas. This reduces much of the noise from transformers, protects switchgear from harsh weather and pollution and looks better. A substation with a metallic fence must be properly grounded in order to protect people from high voltages that sometimes spark up during a fault in the network. Such faults have the potential to cause a ground rise. As a substation electrician, fixing this fault is very dangerous. The currents flowing on the Earth’s surface during such a fault often cause metal objects to have a significantly high voltage and touching this metal presents the risk of electrocution. Your duties will include the proper wiring of a new substation, making repairs to damage caused by storms or an accident and updating the substation as new technology becomes available or to meet the needs of new customers. As a substation electrician, you must be prepared for long, hard hours often in less than perfect weather conditions. To become a substation electrician, you have to complete an apprenticeship program with the owner of the substation. This is either the local government or the utility provider. But, before your apprenticeship, a good place to start is by obtaining a commercial driver’s license. As a substation electrician, you will have to use various vehicles that require you to have a CDL such as derrick trucks and bucket trucks. Having this license before applying for an apprenticeship will make getting accepted into the program much easier. In addition to a commercial driver’s license, you will also have to have a high school diploma or GED and be at least 18 years old. An apprenticeship program includes approximately 144 hours per year of classroom instruction, plus four to five years of on the job training. How to install electrical wiring. How to install and repair motors and controls. Computer training using software related to the job. Hands-on work repairing and maintaining complicated electrical systems with voltage levels much higher than that used in public applications. Driving to substations where damage has occurred. Operating the derrick truck or bucket truck so your co-workers can reach the problem area, or being lifted up to repair the problem yourself. Once you have completed at least 8,000 hours of on the job training and 576 in class hours, you may apply to write your final certification exam. According to the Bureau of Labor Statistics, a substation electrician earns significantly higher wages than other electricians because of the higher risk involved. However, a substation electrician training program does not qualify you to perform electrical work unsupervised in other electrical sectors. Once you have successfully completed your apprenticeship program you will be required to obtain an additional certification by a local licensing board. 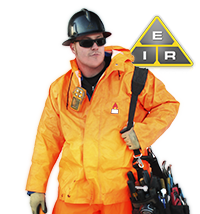 With this certification you are ready to work as a licensed substation electrician. Rig Electrician - An oil rig electrician installs, maintains, troubleshoots, repairs, tests and commissions electrical systems and equipment on oil rigs. Maintenance Electrician - A maintenance electrician usually works in factories, schools, hospitals, gas plants or other large commercial establishments. Power Lineman - An electrician trained specifically in the area of construction and maintenance of electric power lines and distribution centers.